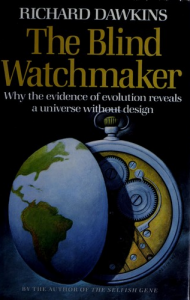 Dawkins’ book The Blind Watchmaker was published in 1986 providing an argument for the theory of evolution by means of natural selection. 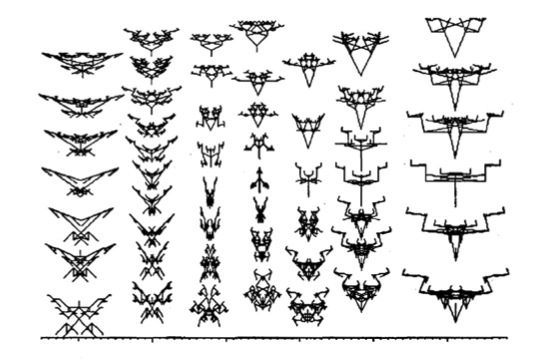 It was also presented as a paper at an earlier date that coincided with Latham’s evolutionary FormSynth drawings. Latham read the paper as a student when his PhD supervisor John Lansdown walked into his studio enquiring whether he had read Dawkin’s paper exclaiming that the illustrations in Dawkins’ book looked just like Latham’s evolutionary drawings.